Who is The Oldest Living Legend? Well, the pool of candidates just got a little smaller today with the passing of Shirley Temple. But think about some of the people who are still around. It’s humbling. There’s Yogi Berra, who served during World War II and has been the toast of New York ever since. Not just New York, but all of America. He’s a timeless part of the culture, so timeless that, like Shakespeare, his aphorisms have been part of American English since our grandparents’ day. So timeless that his name was the inspiration for Yogi Bear, and not the other way around. So timeless that it seems like he still suited up to coach Yankee games last time I checked. Predating even Yogi, there’s Jake LaMotta, the Raging Bull himself, whose professional boxing career began before the bombing of Pearl Harbor. He’s in his 90s and still alive. Chuck Yeager, entered the army as an aircraft mechanic with the rank of private just before America entered WWII. Six years later in the Mojave Desert, concealing two broken ribs, he became the first pilot to break the sound barrier. Made legendary in Tom Wolfe’s “The Right Stuff,” Chuck Yeager turned 91 this month at his home in California. Mort Sahl, Sid Caesar, Carl Reiner. These are all guys whose lives in the limelight go back nearly 60 years and are still with us. The father of rock and roll, Chuck Berry, who went straight from high school to prison for armed robbery before establishing the genre of rock and roll, is still around. Folk-musician and civil rights icon Pete Seeger, born 1919, was a fixture on national radio in the 1940s, and until last month, was still with us. Also born in 1919 is Lawrence Ferlinghetti, a World War II veteran who founded City Lights bookstore 61 years ago and midwifed the San Francisco counterculture that would go on to change the world. Oldest of all is writer Herman Wouk, who turns 100 in 2015. Novels of his such as “The Caine Mutiny” are seen as the definitive WW2 fiction, and Wouk wrote from personal experience in the Pacific Theatre. The 1954 film adaptation of “The Caine Mutiny” is what cemented Humphrey Bogart’s place at the top of the acting pantheon. Herman Wouk is still with us. Born in 1920, Mickey Rooney is still around, too. He began making films during the silent movie era, before Shirley Temple was even born. But Mickey Rooney was never quite the star that Shirley Temple was. 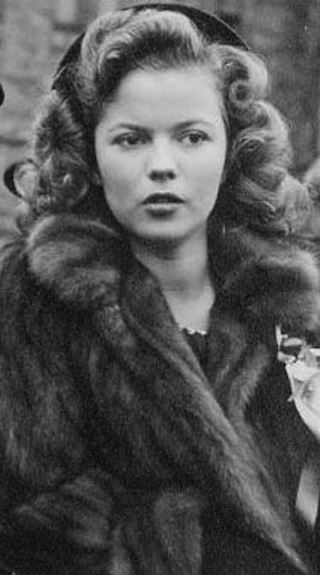 Nobody has ever been quite the star that Shirley Temple was. There are a lot of people around pushing 60 years in the limelight: Mel Brooks, Sid Caesar, Carl Reiner, Chuck Berry, Mort Sahl. There are a few with 70 years of public presence: Yogi Berra, Jake LaMotta, Pete Seeger. But Shirley Temple was the biggest star in the world 80 years ago. 80 years ago, in 1934, Shirley Temple began her run as the top earning movie star in the world. Her combination of singing, dancing, and cute dialogue was a perfect fit for the brand new film genre of talkies, when sound replaced silent movies. As we approach the 86th Academy Awards this March, let’s keep in mind that Shirley Temple was, in fact, present at the seventh Oscar ceremony, 79 years ago, where she received an Academy Award alongside Clark Gable (Best Actor) and Claudette Colbert (Best Actress). Shirley Temple’s children are all in their 60s*. All that, and she’s younger than James Garner (by two weeks). *(Her youngest, Lori Black, turns 60 on April 9, 2014, and, believe it or not, played bass for the Melvins for awhile in the 1990s, when she happened to be dating a Melvin). Although we currently live in an era of technological wonder and innovation, we’re still all very much mortal, stuck in the containers we’re born in until one of the vital parts gives out, with very little recourse. Within a generation or two, all that might change, but for us, that’s about as consoling as knowing you’ll be the last person to die in an unnecessary war. The closest we can come to beating our fate is to celebrate the rare instances of our fellow citizens who live so long and so large that they almost manage to actually break on through to the other side. R.I.P. Shirley Temple. My next non-alcoholic bar drink will be in your honor.